Our professional team at Landscape Systems Garden Center is committed to providing you with an outdoor design experience that will exceed all of your wildest dreams and expectations. Give us a call for a landscaping consultation. Allow our crew of landscapers and designers to turn your outdoor environment into something truly special. With our knowledge and expertise in landscape design and local resources, we are sure to provide you with a service that will transform your exterior property into a place of relaxation and beauty. From gardens and plant life to hardscape patios, outdoor kitchens, streams ponds and more. If you can dream it, we can build it. Come visit Landscape Systems Garden Center in Keller, Texas. The nursery sits on over 7 acres of land and has the largest inventory of plants in the mid cities area. We also have a 13,000 square foot home decor shop inside filled with faux florals, home decor, furniture and gifts. With a large selection of annuals, perennials, trees, shrubs, firewood, palms and plants we can get your garden needs met. If you are looking for something we don't have, we will order anything as well! We are located at the border of Southlake and Keller: 1823 Keller Parkway in Keller, Texas. Come see what everyone is raving about. 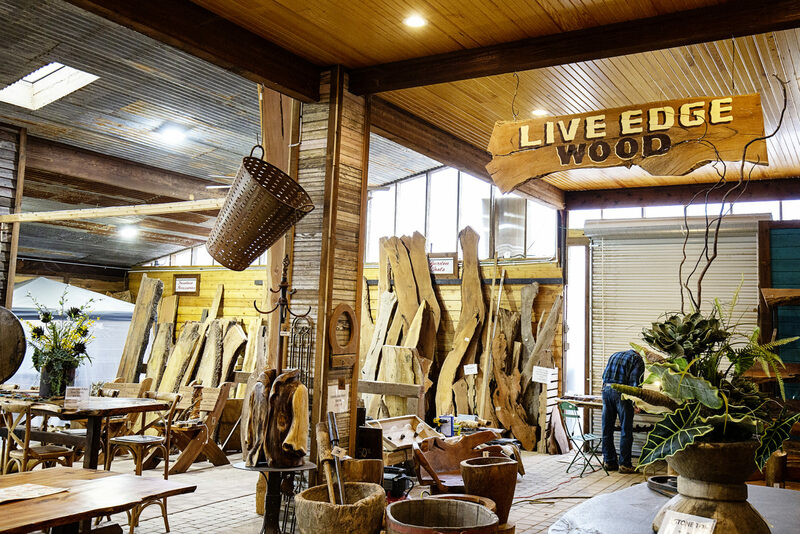 We have a huge selection of live edge wood furniture, live edge wood slabs and continue to make custom creations weekly. We are always getting new slabs in stock and our woodworking team's creativity is always in go mode. Click below to see some more images or visit us in Keller today. Gain inspiration for your outdoor spaces by working with Landscape Systems of Texas and shopping our expansive Keller landscaping nursery. We have over 30 years of landscaping experience and we’re ready to bring this knowledge and expertise to your next project. With our gardening services in Keller TX, we aim to add curb appeal and functionality to your space. We also strive to create sustainable features that will last the test of time and will require minimal maintenance along the way. Have you visited our gardening nursery in Keller TX? In addition to our variety of services, Landscape Systems of Texas gives you access to the area’s best nursery, which features the widest selection of plants that you’re going to find in the greater Keller area. Our landscaping nursery in Keller TX comes with seven acres of land, which we use to plant, grow and nurture our plants. We provide continued care for these plants all the way up to the point of purchase. This means that you are left with a plant that is in optimal health. Not only does our Keller gardening nursery offer a great selection of plants, but even if you can’t find what you’re looking for, one of our associates can work with you to order the plants you need. Our team will be more than happy to help you find plants that fit your needs and create pairings that will bring beauty and vibrancy to your landscape. Landscape Systems of Texas has grown from humble roots into the industry-leading Keller gardening services that we provide today. We take immense pride in serving our local community by covering their garden and landscaping needs. We invite you to browse our nursery, visit our home décor showroom and treat our staff as a go-to resource for your landscaping needs. We look forward to hosting you at our Keller landscaping nursery.